Another entertaining and delightful musical by RCMT! Continuing their tradition of presenting outstanding big Broadway musicals annually, this hit based on a book written by Christopher Isherwood is about 1931 Berlin, which is transitioning from an avant-garde cultural centre to the beginning of Hitler’s totalitarian regime. In this world Cliff (Tim Howe) a struggling American writer arrives. 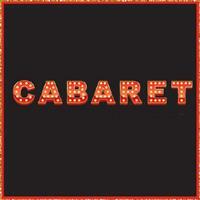 On his first night in Berlin he wanders into the Kit Kat Klub, overseen by the strange, and gender-bending, bawdy “Emcee” (Andrew Cownden), and where the hard-living entertainer Sally Bowles (Lauren Bowler) performs. These three are the main protagonists, and although Howe did a decent job as the American writer, I was wondering whether someone shorter than him couldn´t be found to take this role. He was towering over Bowler who, by the way, is not a Liza Minnelli, but she did a fabulous job with the songs, especially "Cabaret" and “Maybe This Time”. Cownden as the Emcee was brilliant in this role, and had a great rapport with the audience, especially with his rendition of “Willkommen”. Director and Choreographer Valerie Easton who has been the Artistic Director for the past 11 years, did a magnificent job with the choreography. The supporting cast composed of Olesia Shewchuk (Fraulein Kost), Cheryl Mullen (Fraulein Schneider), Damon Calderwood (Herr Schultz), Gavin Leclaire (Ernst) and over 20 talented singers and dancers, did a great job. Kudos also to James Bryson, Musical Director, and his 16-piece orchestra as well as Set Designer Omanie Elias, Lighting Designer Robert Sondergaard, Sound Designer Malcolm Ross and Costume Designer Christopher David Gauthier. Photos by Emily Cooper.